Apple iPhone 7 Vs iPhone 6s Vs iPhone 6 Vs iPhone SE Specs Comparison – What’s The Difference? The Cupertino giant has launched their much awaited iPhone 7 smartphone today in San Francisco. The company has unveiled two iPhone today, i.e. iPhone 7 & iPhone 7 Plus. The brand has announced many improvements and upgrades to various specifications and features on the new iPhone. We are here to clear all your confusions regarding what’s new on the new iPhone 7. Here you can understand the difference between Last three generations of iPhones. Starting from recent one, the iPhone SE, then turning towards the iPhone 6S and then to the iPhone 6. Apple has been know to offer limited upgrades to their handsets as it allows them to create good user experiences on their handsets. While you don’t see much changes when it comes to alternate year, the brand indeed make changes to their specifications. This year you can see big changes in terms of the introduction of material used for manufacturing the device. As company has introduced better waterproofing on their latest iPhone iteration. 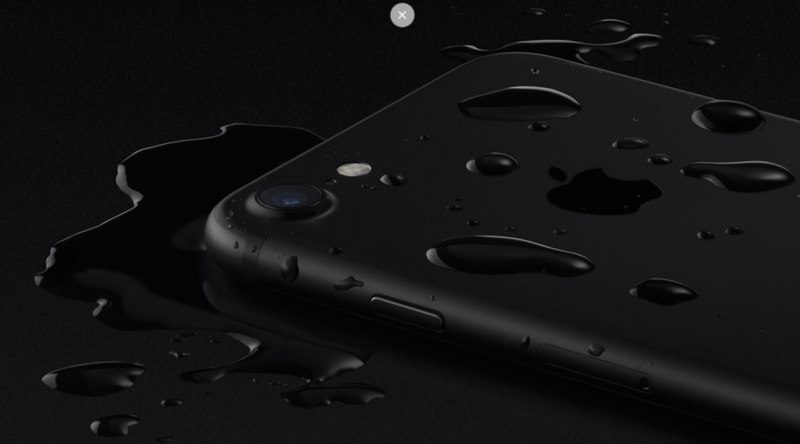 The rating is said to be IP67, which means it is water resistant and probably wouldn’t get damaged during rain, water splash and accidental submersion. Though, the biggest change on the iPhone 7 is the removal of 3.5mm audio jack. Additionally, the new iPhone 7 would be available in five colours, fifth being the Piano Black, compared to four with SE and 6S, while three with iPhone 6. The iPhone 7 and all other iPhone mentioned in this articles have similar sized display at 4.7-inch, except the iPhone SE, since it is introduced as the Special Edition for users who are looking for much compact iPhone. The new iPhone 7 comes with 1334 x 750 pixel resolution, which is similar to the iPhone 6S and iPhone 6. While the iPhone SE has a 1136 x 640 pixel resolution. Apple does claims that it’s latest iPhone 7 has a brighter and much vibrant panels, which should make viewing experience better. The processor has been bumped up to the A10, which is again a dual-core processor, but the clocked speed is increased to 2.4 GHz, which is a major boost from Apple A9 chipset, which is present on SE and 6S, while the iPhone 6 comes with A8, it is like two generations old SoC. The brand touts faster processing and performance on the new A10 chipset. Talking about the RAM, the iPhone 7 has a 2GB of RAM, which is higher than the iPhone 6 and equals to the iPhone SE and iPhone 6S. The company has finally upgraded the standard internal storage on their iPhone. As you can now see 32GB storage as the standard, which was earlier 16GB. Regular Apple iPhone users would appreciate this change a lot, since iOS takes up a lot of space. Moreover, despite 4K video recording feature introduced on iPhone 6S, one could only record 4K content for only couple of minutes. Alongside the new iPhone 7, the company has released the stable iOS 10 version. The new version which has been in Public Beta stage since it was first introduced couple of months back at WWDC. Taking a quick overview of the iOS 10 features, it has a redesigned lock screen, rich notifications, as well as quick interaction with apps and expanded 3D Touch. With SIRI being open for Developers, expect the new software experience to be quite impressive. Certain set of apps have got the redesign in the iOS 10 including Apple Music, Apple Maps, Apple News and Apple Home. Apart from these changes to Apps, you will also see improvements in Phone App and Messages. While the iPhone 7 would be coming with iOS 10, other devices in the list such as iPhone 6S, SE and 6 would be getting the upgrade. Though, some hardware specific features won’t be available on older iPhone models mentioned here. As the Apple unveiled today their new iPhone, it was also announced that iPhone 7 Plus is coming with dual-rear camera setup. Whereas the iPhone 7 seems to lack that upgrade. Though, it is still better than two year old models such as iPhone 6. The iPhone SE and iPhone 6S sports the similar camera setup of 12MP resolution with f/2.2 aperture number in comparison to f/1.8 aperture on new iPhone 7. It has a phase detection autofocus and Quad-LED (Quad-tone) flash. Talking about the sensor, it has a 1.22 micron pixel size with geotagging facility and 4K video recording. While the front-facing camera is of &MP with f/2.4 aperture number. Overall, it is quite similar setup with improvement in performance. All the iPhones that we talked about above seems to have some kind of similarity with the new iPhone 7, but considering the fact that there are introduction of the new features, the regular Apple iPhone users could still upgrade to new iPhone.